Google Fiber has been making headlines across the tech landscape for a while now, but does it live up to the hype? It certainly does not when you compare it with DISH Network. DISH offers more packages, more channels, and a myriad of free features making it–hands down–the right choice when choosing a television provider. We get that you’ve got to do your research though, so we’ve broken down the Google Fiber and DISH Network packages and compared them using three categories: customer service, value, and technology. No matter which category you choose, DISH Network comes out on top. Google Fiber has only 2 packages. Let’s compare the lowest tier Fiber 100 + TV package from Google Fiber to an average package from DISH Network (America’s Top 120). This package from DISH provides 190+ channels, including ESPN, ESPN2, plus three-months free access to more than 40 premium channels – all for $59.99 a month. And that’s just the 120 package; DISH offers several different options so you can find the package that’s perfect for you! The Google Fiber 100 package comes in at a whopping $140 a month. Not only that, but you have to purchase internet services from them to have access to the television package. What do you get for that? Fewer features, nonrefundable service deposits, and massive equipment and service modification fees. The average equipment fees for Google Fiber range from $30, all the way to a $300 “construction” fee. DISH offers you more for less money, no matter which package you choose. Google Fiber offers only high fees, plus limited options and availability for more money. While DISH clearly offers a better value, their industry dominance becomes even more apparent when you take a look at the different technology offered by each provider. 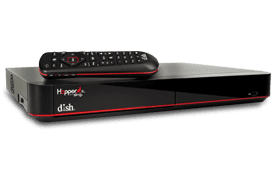 DISH’s Hopper 3 is simply superior to Google Fiber’s HD-DVR. The Hopper 3 offers 500 hours of HD recording storage, commercial AutoHop on primetime shows, and the ability to record up to 16 different shows at once. DISH even provides a wireless receiver, Bluetooth audio and remote locators at no extra cost. With Google Fiber you might have to miss a few episodes if you’re not near your TV. DISH Network’s package comes with access to their mobile app, DISH Anywhere™. DISH Anywhere™ gives you access to live television, recorded shows, and the entirety of the DISH On-Demand titles on any of your mobile devices! DISH Network has the best customer service in the industry and we’re not the only ones that thinks so. The American Customer Satisfaction Index (ACSI) has consistently ranked DISH number one in call center satisfaction, website satisfaction, clearest bill to understand, and lowest customer complaint rate since 2010. You’ll notice the exemplary service from your first interaction with DISH Network. After selecting the package that is right for you, DISH will send a certified technician to your front door (usually within 24 hours). That technician will set up all of the needed hardware and even stick around to teach you how to use it properly! While we do recommend you use Google for your web searches, we not recommend purchasing their television services. DISH Network offers more channels, features, the Hopper 3, and the best service in the industry for a significantly cheaper rate. If you’re looking for a new television provider, buy DISH Network.